Son of Joxer and the Cave of the Hydra! When last we saw him, Son of Joxer had discovered the horrible secret as to how his curse of immortality might finally be broken. Under compulsion to tell the truth, the Sphinx told him that he could be killed just as easily as any other mortal, but that barring accident or injury he would never age or die. Upon further interrogation, the Sphinx claimed that there were only two ways for Joxer to end his curse without committing suicide. The first was simply too horrible to even contemplate, but the second was to return to the isle of Atlantis and sacrifice a Space Monkey upon the altar of a Stone Temple Daggit. For the first time since his shipwreck on Space Monkey Island, Son of Joxer now has good reason to return to Atlantis and find out whether or not the city of Atlantia really did sink into the sea without a trace. But first he needs a boat and a crew willing to sail the Seven Seas indefinitely. It would be easy enough to steal the vessel which King Minus had provided him to sail to Argos during the First Labour, but the noble thing to do would be to complete the Fourth Labour, marry Princess Adrian, and set out to sea with the King’s blessing. Realizing that this is his final chance to rid himself of Joxer, King Minus proposes an impossible task at which even the mighty Hercules once failed: to kill the fabled Hydra. In an age long past, Hercules managed to cut off vile sea serpent’s head, only to spawn two new heads from the creature’s severed neck. 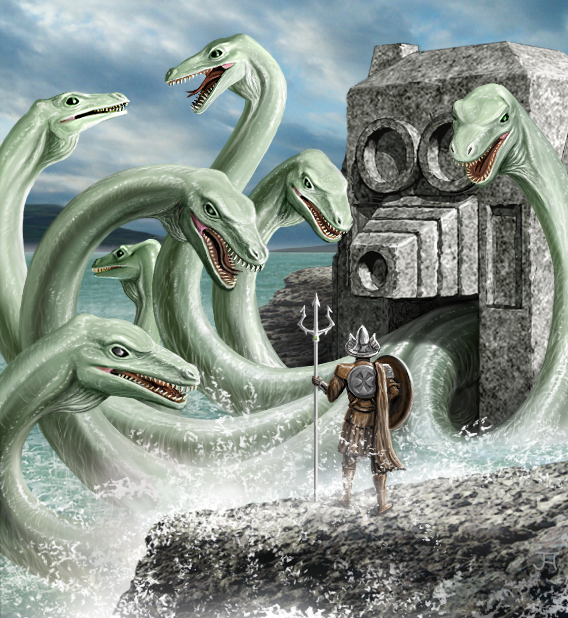 In the present age the Hydra has seven heads, its breath is a poisonous fume, and its bite means certain death. Princess Adrian learns from the Oracle at Knossos that despite its impressive head count, the Hydra’s many eyes are easily distracted, so she hires an acrobat troupe to follow Joxer around during his Fourth Labour. Having wrested Poseidon’s Trident from the Minotaur’s Maze, Son of Joxer possesses the one weapon even more poisonous than the Hydra itself. 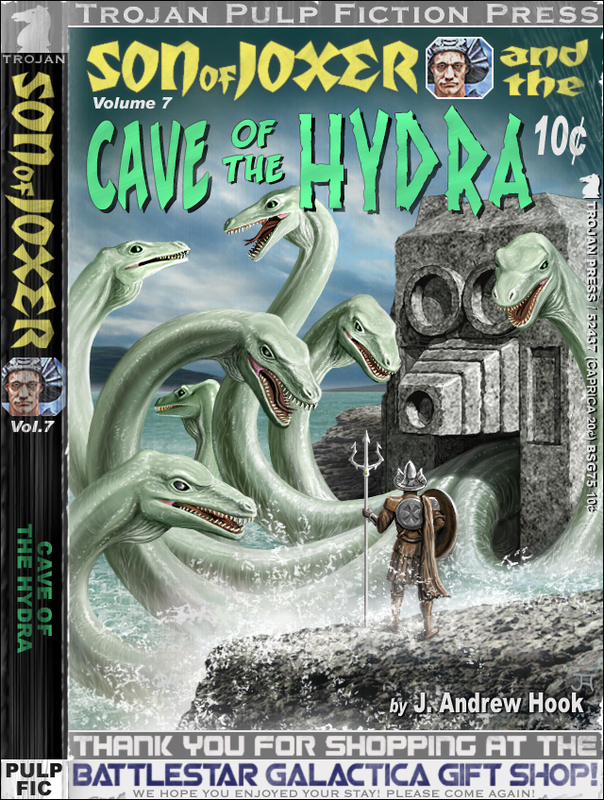 The plan is to station jugglers and pantomime artists around the mouth of the Hydra’s cave to distract the beast while Joxer attempts to spear it with Poseidon’s venomous staff. the tiny island far off in the distance they cannot be seen.